Stay young for ever or make yourself than the actual age is something that almost everyone wants.Many of us may thought it's never so easy but you are actually wrong.It's not quite tough at all. Many of us still are searching for the Fountain of Youth. We go to all extremes to look younger. We spend endless dollars on surgical face lifts to Biaxin treatments. There are other methods, not as drastic, to assist in giving us a more youthful look, make us feel better about ourselves, and not as costly. Also, looking younger is not always about great skin or a terrific body. Sometimes there are little things we can do to help us appear years younger than what we really are. So here we're going to share some ways to stay younger at age.So let's go through them. Don't ever start smoking or quit. Oxygen is our best friend. The subject of smoking is a thorny one when it comes to giving it up. It has been scientific studies that have pointed to the fact that smoking releases trillions of free radicals and these are not good for your body or your skin. Free radicals kill off cells at any stage of their development. It also constricts the capillaries in the face leaving you looking very pale..
Stay away from the scorching sunlight as it can result in wrinkles as well as dehydration of your skin. Using a sunburn lotion can be helpful in preventing the skin problems caused by the sunlight. Brown spots are one of the distressing skin problems caused by the undue exposure to the sunlight. Putting on suitable clothing while going out can be useful in slowing down the process of ageing. Being in the shade or sitting under an umbrella can also be regarded as an effective method to prevent the skin problems caused by scorching sunlight. Upholding a healthy body weight can be useful in reducing the problems like joint pains, heart disorders etc. during the elderly stages of life. Doing aerobic exercises can be helpful in preventing heart disorders and hence can be helpful in keeping us healthy and fit for longer time. Exercise to improve your shape and muscle tone. Include both aerobic (cardiovascular) as well as anaerobic (strength-building) exercise to be fit, trim and feel great longer. Massaging your face daily will help boost the production of collagen, give skin a more plump appearance and help stimulate the lymph glands to promote clear skin.Wash your face at least twice a day, gently with a soft wash cloth. 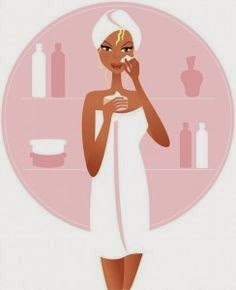 Use an exfoliate once a week to remove dead skin, moisturize to replace the moisture removed from the treatment. So these are some of the basic tips to make yourself younger naturally.Hope you enjoyed this.If you want to add some more into this list.Do let us know through your comments.